Real Estate is Real Property (Hard Asset) versus the Personal Property or Paper Assets of Stocks, Bonds, Annuities, Precious Metals or Certificates of Deposit. Real Estate tends to be less volatile and a secured way to predictable income and growth for your Individual Retirement Account (IRA). Diversifying your IRA with Real Estate will help to protect your account value/balance by reducing your exposure to stock market volatility, low returns and limited flexibility of personal property/paper assets. Sol Mar REI, LLC., is one of the most trusted names in retirement fund management. With our variety of opportunities, our investors find Real Estate IRAs to be one of the best investments. Our trusted specialists are available to walk you through each step of the process to ensure your assets are well protected, IRS compliant and the procedure goes smoothly the entire time you are our client. A Real Estate IRA works the about same as current IRA or 401(k) accounts, except instead of putting retirement savings into the exposure of those paper assets, the IRA is the owner of real estate, producing income to the IRA and asset value appreciation. All adding to retirement savings for distribution at time of need For Your Benefit. Real Estate IRA Rollovers are an excellent option for investors that have conventional retirement accounts, company-owned pension plans and 401(k), Roth, Traditional, Thrift Savings or Beneficiary IRA accounts. 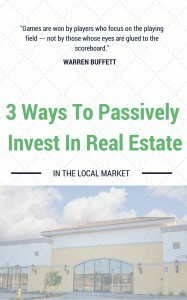 Real Estate and related investments have proven to be very popular for many IRA – account holders for these assets ability to provide secured, predictable income/growth without having the issues of the alternatives. Rolling over current retirement savings is an easy, hassle free way to protect retirement savings from fluctuations in the market. Converting to a Real Estate IRA could also provide in IRS-approved tax benefits. 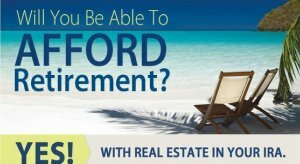 The process is simple and helps diversify your retirement portfolio by having the advantage of the solid, tangible worth of real estate. In most cases, the rollover is entirely tax-free and requires just a simple phone call. YOU ARE IN GOOD HANDS WITH SOL MAR REI, LLC. For more information about whether Real Estate Opportunities are a good fit for you, consult with one of our Real Estate Opportunities Specialist today. Call us at 1-866-947-2265 ext 808 or use the form above.